Everybody Run! Aunt May’s Got a Gun! 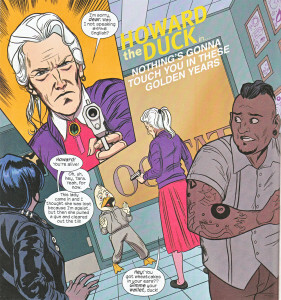 This is how Howard The Duck #3 starts out: Aunt May holding up a tattoo parlor at gunpoint. And yes, that is Peter Parker’s Aunt May. Don’t believe me? So who’s behind this foul act? 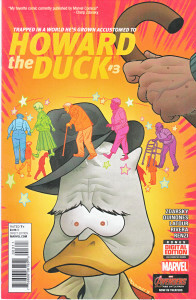 The Ringmaster, a nemesis of Howard’s from back in HTD #1, Vol #25. I love how they keep his history, but I won’t spoil it for you. Go get your own copy. 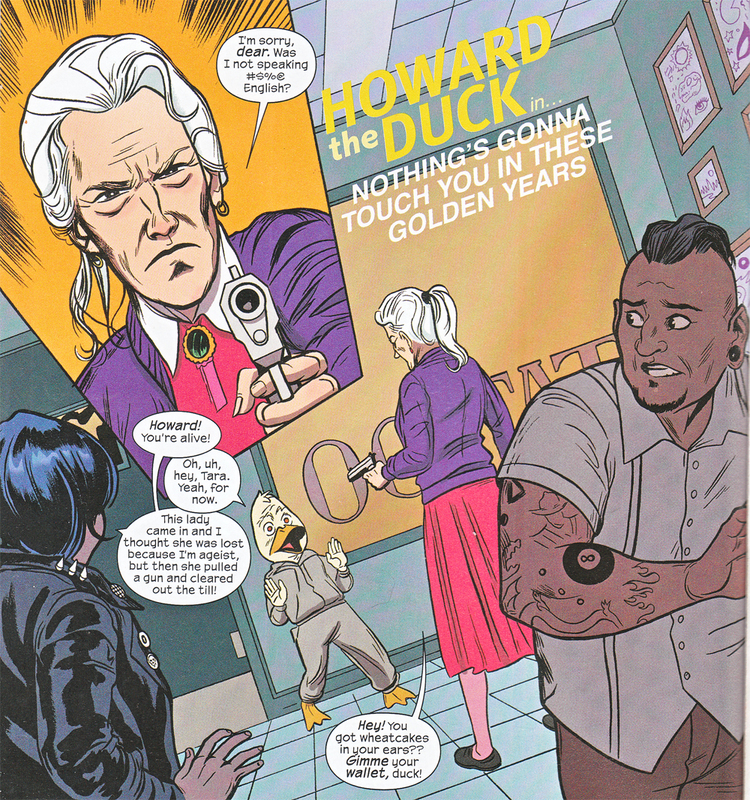 While I’m enjoying this new reincarnation of Howard, I do miss a few things. I still miss his old look, which was more cartoony. He’s a bit more mellow, but I guess he has grow accustomed to this world he never made. And I miss the cigar…but I guess he can’t smoke like he did in the 80’s. I also really miss his best human friend, Beverly Switzler. I hope we find out what happened to her! In the meantime, here’s some music to read Howard by.